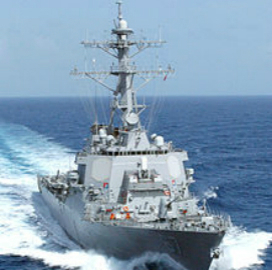 A General Dynamics subsidiary has won a potential $74.7M contract to support the U.S. Navy in the dry-docking of the USS Arleigh Burke guided missile destroyer. General Dynamics NASSCO will modernize, repair and maintain the ship as part of a selected restricted availability effort to support the Chief of Naval Operations, the Department of Defense said Wednesday. The military service obligated $67.1M at the time of award from its fiscal 2019 operations and maintenance funds. Work will occur in Norfolk, Va., through November 2019. Naval Sea Systems Command competed the project on an East Coast-wide basis and received three offers via a full and open competition on FedBizOpps.